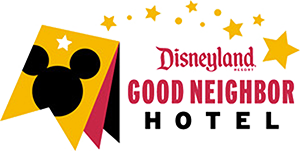 As a Disneyland® Resort Good Neighbor Hotel located ½ a mile down the road from the parks, we get lots of excited Disney fans coming through our doors. In the hustle, bustle, and excitement before a trip, it is easy to forget something while packing. We hate seeing those excited smiles fade when a guest realizes they left something important at home. Talk about a rocky start to your vacation! We want to make sure your Disney experience is a magical, stress-free experience. With that in mind, we put together some of the top items you should bring on your Disneyland® Resort vacation and some packing tips and tricks to get your trip started on the right foot. No one wants to start their Disneyland® Resort experience waiting in line. You’ll save a lot of time if you buy your tickets ahead of time. At Anaheim Majestic, we make it super easy to purchase your tickets and get prepped for your trip at our Disney Desk with the help of our Disney experts. You’ll want to have a small, easily accessible backpack or over-the-shoulder bag to carry around at the parks. Bonus points if it’s waterproof or water-resistant in case it rains or you go on any of the amazing water rides. You want a bag that can hold all the necessities below and is also easy to carry. Lanyards are another must-have to hold your wallet, park tickets, and FastPasses. Take a look at the official park rules for specific details regarding bags. There are a lot of little things you’ll want to throw in your backpack to make sure you’re safe and comfortable while you’re out and about. While you may not end up using these hygiene items, you’ll be glad you had them along rather than having to cut the day short or book it back to the hotel or car. Think travel size. Anaheim weather is typically pretty perfect but can be unpredictable, and you don’t want to walk around soaking wet. Rain ponchos are generally cheap and fold up easily in your bag, making them a better option than an umbrella. You can also wear them on water rides or sit on them during parades! From taking pictures to checking social media to contacting group members, chances are you’ll be using your phone a lot during your visit to Disneyland® Park. You don’t want to risk it dying. Rechargeable battery packs are a great option in case a plugin isn’t nearby. Might be worth throwing an extra wall charger in your bag too for when you’re at a place to plug in or your battery pack runs low. While we’re on the subject of phones, check out our list of must-have apps for your Disneyland vacation to download before you head to the parks. This is a must if you have kids, or you just geek out over seeing your favorite Disney characters. There are autograph books available on site and at various shops in the Anaheim area, but you’ll likely be paying more than if you brought your own from home. If you’re a DIY person or looking to save money, there are lots of fun options and ideas online to help you create and decorate your own custom autograph book at home. It’s important to stay hydrated and well-fed during your visit to the Disneyland® Resort. While there are tons of delicious food and drink options — and we mean A LOT — it always helps to have some options in a pinch. You’ll save money and have a quick fix when your energy starts to wane. Many people like collapsable or filtering water bottles to help them save space and stay hydrated throughout the day. Individual powdered drink packets are also a great idea, especially if you want a caffeine boost. As for snacks, think easy and on-the-go — and things that won’t melt if it’s hot out, this is Southern California, after all! Granola bars, beef jerky, and nut mixes are great on-the-go snack options with protein for energy. If you plan to watch any of the Disney parades or other outdoor events, you’ll definitely want one of these. Picnic blankets are a great way to claim your spot and have a place to sit while the crowds gather around you. As an added bonus, they provide a makeshift rain tarp in a pinch. Much like rain ponchos, find a picnic blanket that folds up small and is easy to clean after you’re done at the parks. As we mentioned before, Anaheim is known for our sunny, bright days. The last thing you want to be doing all over the Disneyland® Parks is squinting the entire day. Sunglasses and a hat that shades your eyes will come in handy and keep you protected from the SoCal sun all day long. Last, but certainly not least, it never hurts to throw some resealable bags of various sizes in your backpack or bag. They come in handy more often than you might think. They’re great for carrying extra food items, protecting your phone and wallet on water rides, keeping items in your bag organized, and more. It never hurts to be prepared. Bring comfortable and supportive shoes that are already broken in. You’ll be doing A LOT of walking and your feet will thank you. If they fit, throw more than one pair in your bag. Layered outfits are a must. We mentioned our Anaheim weather a couple of times already. It’s always good to have a light jacket or cardigan along just in case. Pack some Disney-themed outfits. Keep in mind there is a dress code at Disneyland® Resort that limits things like costumes and masks, particularly for adults. However, that doesn’t mean some fun shirts or Disneybounding isn’t allowed. You’ll fit right in and some Disney attire will make for great photos. Don’t forget your bathing suit! You’ll want it when enjoying a relaxing swim at your hotel after a long day. Bring a power strip for your hotel room to charge all of your electronics. That way there are outlets available for everyone who needs to charge up. Invest in waterproof cases for electronics. We mentioned plastic bags above, but if you’re concerned about a particularly pricey device, it may be best to get a waterproof case for it or simply leave it behind. Better to be safe than sorry. Books and handheld games come in handy. If you’re traveling via airplane or car, it’s great to have some kid-friendly items to help keep youngsters occupied. If they fit in your backpack, they’re also great for when you’re waiting in line at the parks. Triple check that you have all essential travel items. While things like sunscreen and snacks can be picked up anywhere, there are certain items that you simply don’t want to forget. Make sure you have all medications, insurance cards, IDs, proof of auto insurance (for car rentals), emergency contact information, credit cards, debit cards, and other important travel documents. Don’t forget to leave room in your suitcase to bring home those Disneyland® Resort souvenirs. Label all your bags and items you bring into the park with your name and contact information. That way, if it gets misplaced, it’s easier for park staff to return it. It’s also helpful for your children to have some kind of identification on them as well, just in case. Check all rules and guidelines, then check them again. Even if you’re a travel pro, every place is a little different. 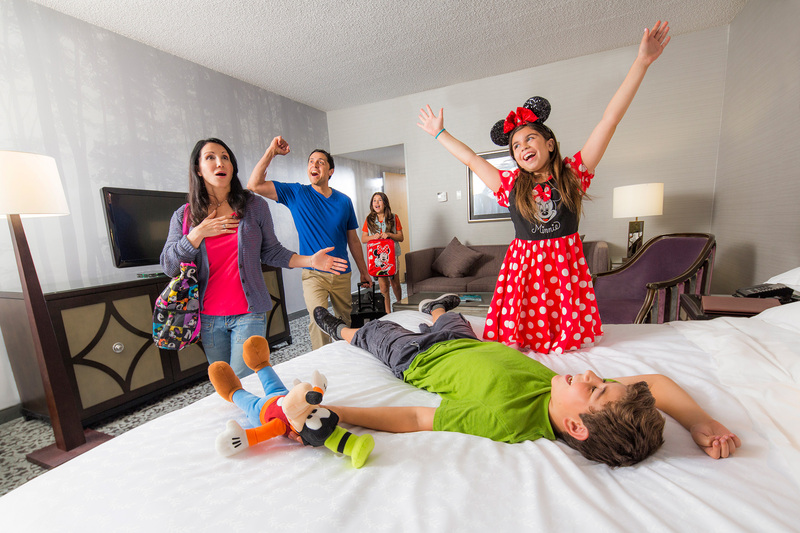 Browsing through the Disneyland® Resort rules, Transportation Security Administration (TSA) rules and airline rules (if flying), and your hotel’s rules regarding packing and luggage will help ensure a more seamless and hassle-free travel experience for everyone. See you at Disneyland® Resort! We’re of the “better safe than sorry” mindset when it comes to packing for a Disney trip. It’s better to pack extra items than risk not being able to find something you need nearby. Download our complete Disney packing checklist so you don’t forget anything along the way. If you’ve already booked your stay with Anaheim Majestic Garden Hotel, we can’t wait to see you! If you haven’t booked your Disney vacation yet, what are you waiting for? Book with Anaheim Majestic now and save!